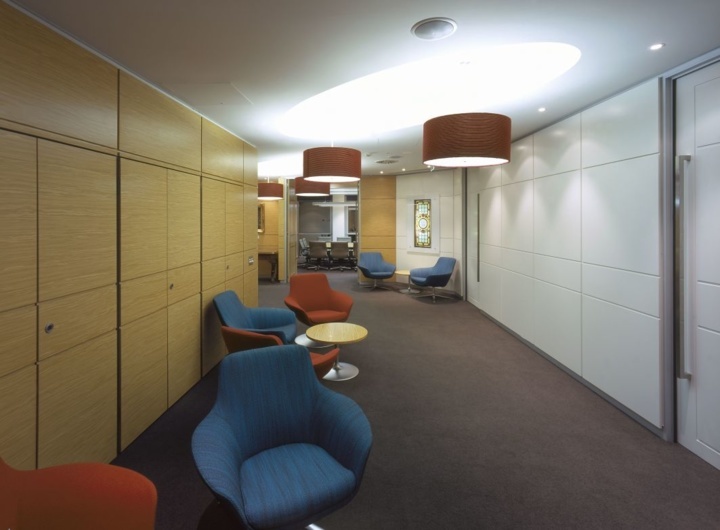 A sophisticated fit-out that caters to flexible work and team connection. 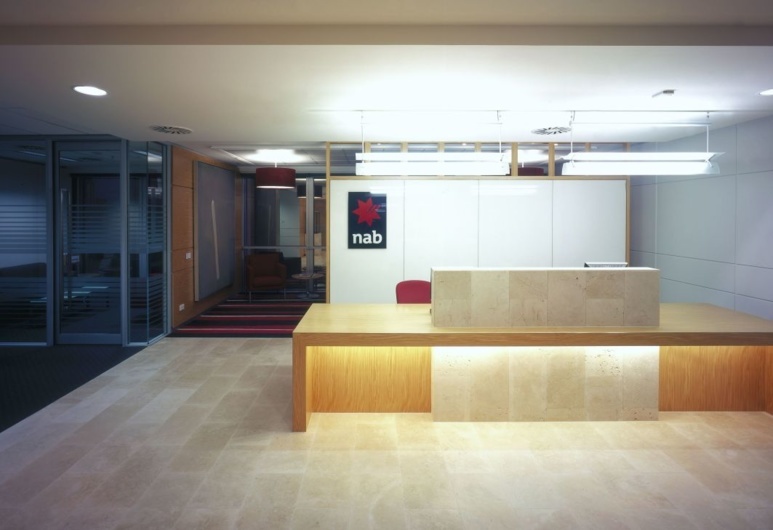 Peddle Thorp were commissioned to undertake full refurbishment for NAB’s Brisbane headquarters. 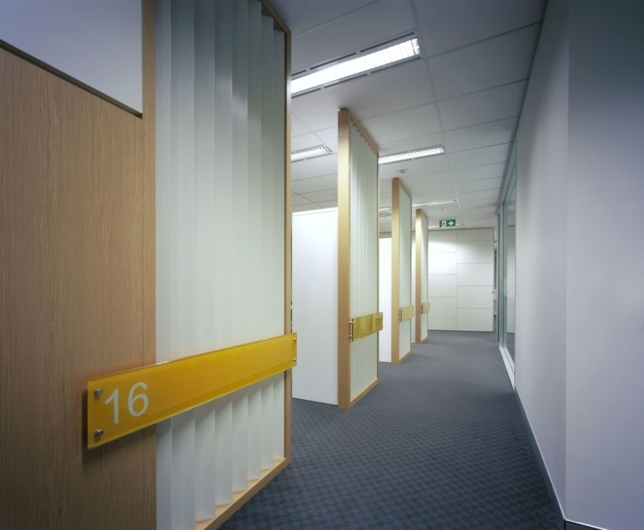 The project aligned with a national objective of the bank to house all staff in a contemporary new space to foster a collaborative working environment. This has been achieved through the use of Snowflake workstations to accommodate staff with designated hot-desk zones for floating staff. A large staff breakout and tearoom are located in the corner overlooking ANZAC square. This space is open planned and connected to the floor conference room for large staff gatherings. Level 23 is the main Reception floor. 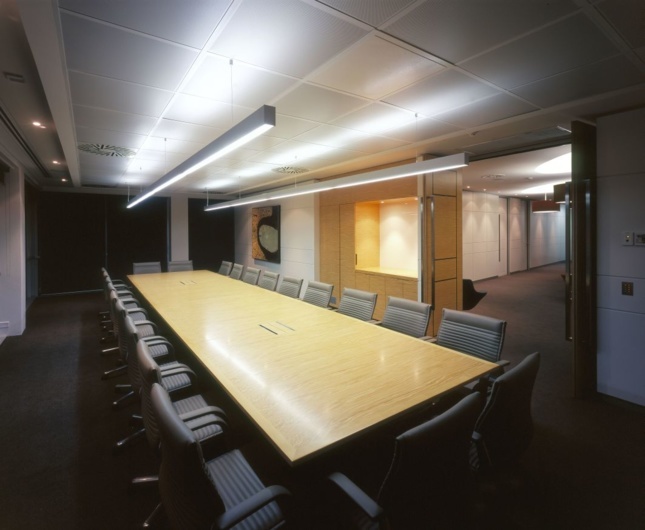 This level houses all public meeting rooms the board room and executive meeting spaces including the commercial kitchen.